The new standard for high performance. Similar Balls: Same Hook Potential, Lane Conditions & Coverstock as the Storm Code X. MY FAVORITE BALL IN MY ARSENAL!!! This ball is absolutely remarkable! The action that I get is so smooth and continuous but yet a forgiving ball. I would recommend this ball to anyone! The Code X will be more aggressive than the Nano, for it is a high performance ball and the Nano is only a Mid Performance ball. The Sure Lock will have a 2000 grit finish solid coverstock and best performs on heavy oil only whereas the Code X is a 3000 grit finish solid coverstock and performs best on medium-heavy oiled lane conditions. How does the code x compare to the phase 2? Can either one of these be used on a regular house condition? The Code X will be way more aggressive than the Storm Phaze II but can both be used on house conditions. At this time, we do not have any Code X X-outs. You can either have it drilled through Bowling.com or you can take it to your local driller and have it fit perfectly to your hand when being drilled. How does code-x compare with a new intense fire? The Storm Code X will be more aggressive than the Storm Intense Fire because the Code X is a solid coverstock whereas the Intense Fire is a hybrid coverstock. The Code X will also have a 3000 grit finish which will make it go longer than the Storm Intense Fire which only has a 1500 grit finish. Unfortunately, the cores will be the same for 14-16lbs. No, this should be perfect for you! Yes, the Code X would be great for a full roller. How does the Code X compare and differ to the Alpha Crux? Out of the box the Alpha Crux has a duller 2000 grit finish which can help the Alpha Crux read a little earlier on the lane. However, the weight block on the Code X is stronger and this can help the Code X to make up the hook for breaking a little later than the Alpha Crux so they are going to cover about the same amount of boards. how does the code x compare to the code black. I have a 15 lb code black suggested by the bowling ally proshop.. its to heavy. I am interested in the code x 14 lbs. The Code X will be a solid coverstock making it a more aggressive ball than the Code Black, which is a Pearl coverstock. The Code X will break sooner than the Code Black. The Trident Abyss will have a stronger hook but is meant for only heavy oiled lane conditions. The Storm Code X will be much more aggressive. Unfortunately, none of the 13# will have the same core as 14#. How does the Code X compare to the IQ Tour? The Code X will be more aggressive for it is a high performance ball and the IQ Tour is an upper mid performance ball. I found some details on the Depth Charge and I believe it was a particle pearl ball. The details show it worked in medium to heavy oil but it was polished to try and go longer on the lanes. The Code X was a duller finish out of the box so it was going to read a little more on the midlane and have a smoother hook reaction. 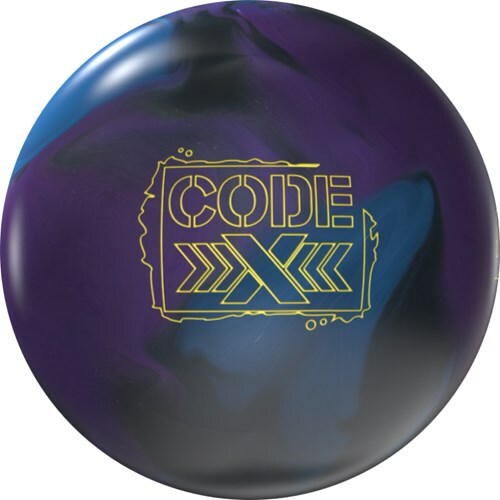 The Code X is newer as well so that may give it a slightly high hook potential with the newer technology used on balls today. How would this match up with a Physix? The Code X will be a bit more aggressive than the PhysiX for it is a solid coverstock and the PhysiX will have a hybrid coverstock. The solid will break sooner than the hybrid. The PhysiX will be a hybrid and the Code X is a solid. The Code X will break sooner than the PhysiX. can the straight bowler use the code x? 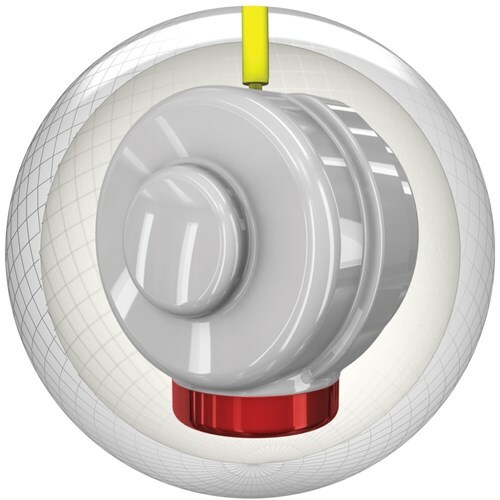 If you are not used to throwing a hooking ball, then this will be too much ball for you and you would want to stick with a spare ball that only bowls straight. Due to the time it takes to produce the Storm Code X ball it will ship in immediately. We cannot ship this ball outside the United States.